Egg and Cheese sandwiches are nothing new, from Mickey D’s famed McMuffin to your favorite corner deli or street cart. However, as New York Magazine has just pointed in a mouthwateringly delicious slideshow, this greasy portable treat is the latest to get a gourmet makeover. 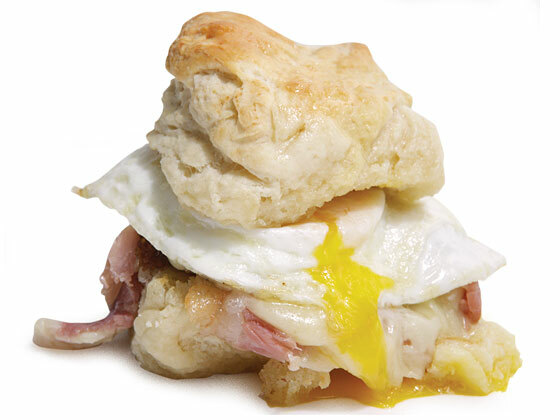 As I pointed out in my review of Egg in Williamsburg, the famed Country Ham Biscuit is the main reason I need to go back and is one of the nine featured examples from NY Mag. Now if only someone were to come up with a portable version of Eggs Benedict, I’d be in brunch heaven.